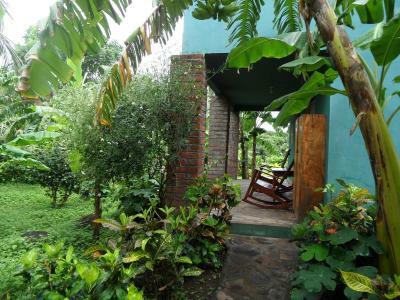 Lock in a great price for Finca Montania Sagrada – rated 9 by recent guests! 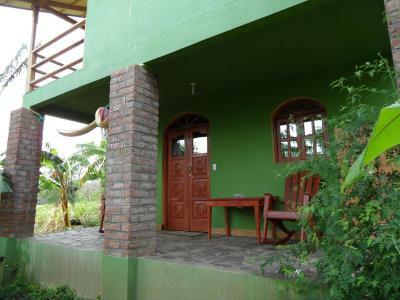 Finca is in a remote rural location which appealed to us. Very quiet except for farm noises. It’s a stunningly beautiful location in a fairly remote part of the island. The staff is very helpful with suggestions and arrangements. Horseback riding rental is on the property. Sometimes you have to play with the hot water to keep it going and sometimes WiFi wasn’t perfect but that wasn’t the point here. It’s a bit of a get away from it all place but with many very good restaurants and comedors very nearby as is the kayak rental place. Walking around Merida you get more of a feel for Ometeppe life than you would in the more touristy areas. Highly recommended! From the second we arrived, we felt like home away from home. 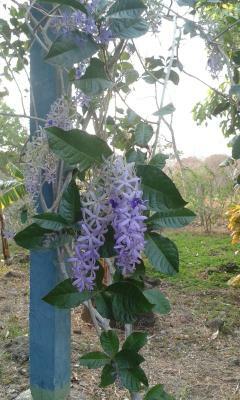 The grounds are beautiful with lots of plants and trees. The cabins are huge and nicely decorated. Hari and Mirca are loveable and helpful hosts. They have a lot of dogs, which are all very sweet. The food is a bit more expensive than in other places, but totally worth it! The quality is fantastic and the portions huge. They serve a variety of things for breakfast includig homemade bread and jam! And moka! Also we want to point out, that the directions (we arrived by public transportation) are very accurate. People at the port in San Jorge wanted to talk us into booking a shuttle, first they told us there was no bus (which is a lie) then they told us the way to the finca is very steep and long. It’s not at all, you can do it easily by foot, even with backpacks. 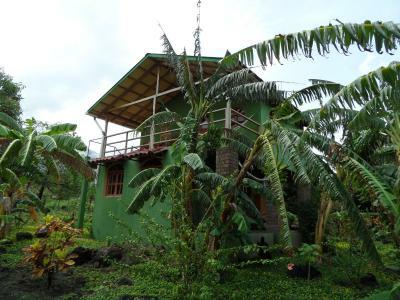 It was the perfect jungle bungalow. 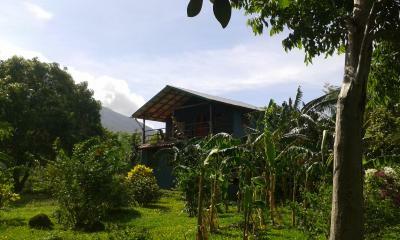 Loved our room with the views of the volcanoes. We had a FABULOUS time staying here! Hari is great. He set us up with a fantastic trail ride, perfect for my 8 year old who had never been on a horse, and really went above and beyond to book us taxis, etc. There are a number of dogs on the premises, much to my son's delight - we had to check his pockets for chihuahuas when we left! The breakfast is great, and the dinner is well worth the $12. It's a bit far to get to, but really beautiful - highly recommended! This is the real deal. 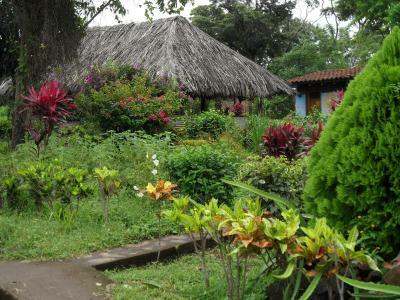 An authentic Nicaraguan hotel run by the best horseman (and with the best horses) on Ometepe. The accommodations are nice but not luxurious. 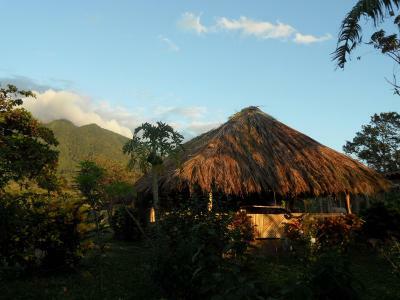 This is an eco-hotel with roots close to the land. Your feet will get muddy and the road to the hotel is bad, but if you don't mind that sort of thing, then stay here and enjoy wonderful company in a quiet setting that feels like a ranch from decades past. I have never had a good experience on horseback until visiting the Finca. Hari and Carlos know the horses and fit each rider to the best possible mount. (I already miss my horse Tequila.) We didn't even plan to ride, but the horseback riding turned out to be the highlight of our trip. 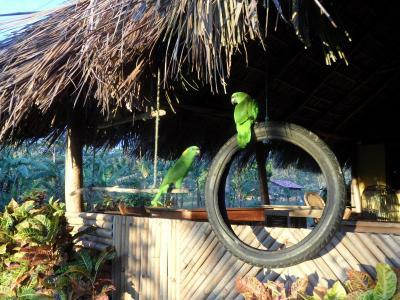 As a bonus, the common eating/socializing area is always populated with friends--if the pleasant staff are not around, you can say "hola" to the local parrots or play with Chihuahua puppies. 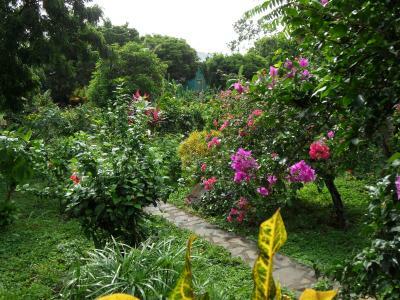 Absolutely beautiful grounds, very well maintained and amazing views right outside your door. 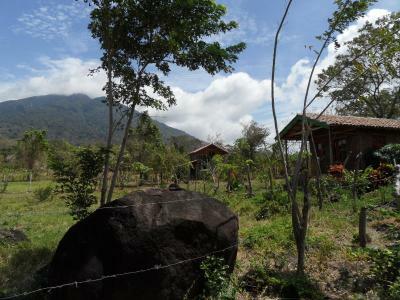 Also, loved how well treated their many animals on the Finca were, in contrast to some of what you see around Nicaragua. Marilena is absolutely lovely to chat with and extremely helpful. 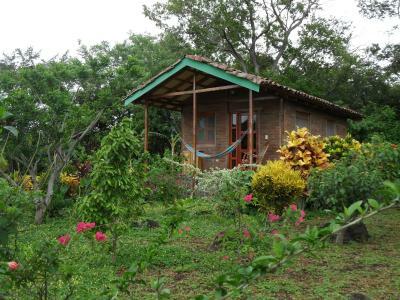 Beautiful finca on a quieter side of the island, Marilena was a great host and Hari / Frances gave us a great horseriding tour. 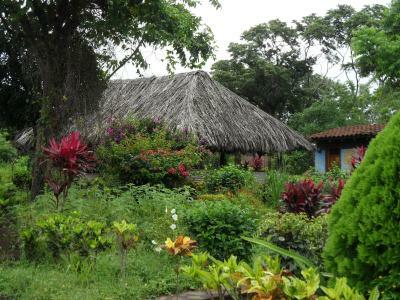 Make sure you eat dinner there, best food we had in Nicaragua - the puttanesca was great! 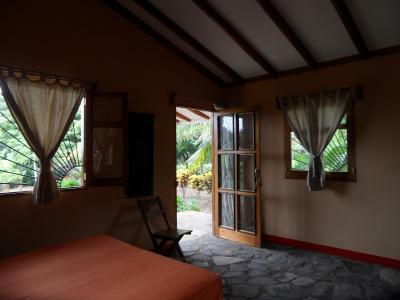 Finca Montania Sagrada is located in the foothills of Maderas Volcano and features spacious rooms and bungalows with mountain views and free breakfast. 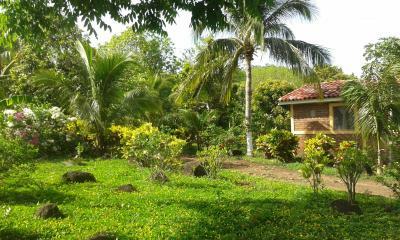 The property is surrounded by tropical gardens. 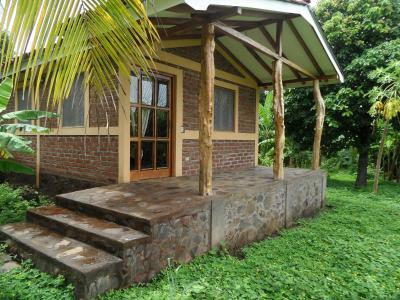 Each bungalow and room at this property features free WiFi, a private bathroom, mosquito nets and tiled floors. 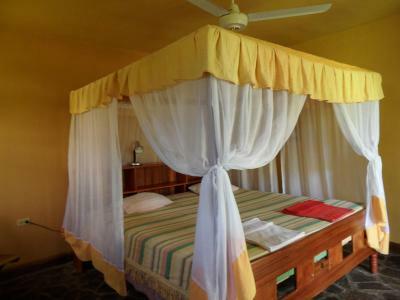 All rooms have a private patio or balcony with rocking chairs and hammocks. The property features an on-site restaurant that serves Italian pastas and salads on request and guests will find other dining options in neighboring Merida, a 5-minute walk away. 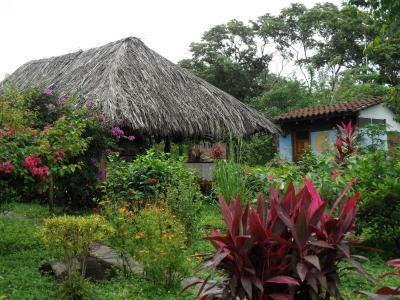 Finca Montania Sagrada can help guests arrange outdoor activities like horse rides to beautiful waterfalls and hiking to the summit of the volcano. Kayaking in the Istian River, a 15-minute walk away, is also possible. Managua’s International Airport is about 93 mi away. 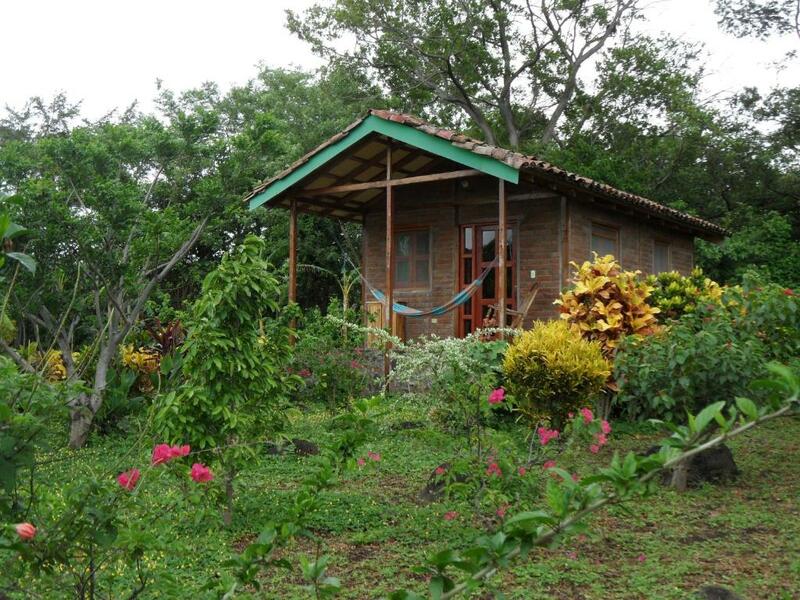 When would you like to stay at Finca Montania Sagrada? 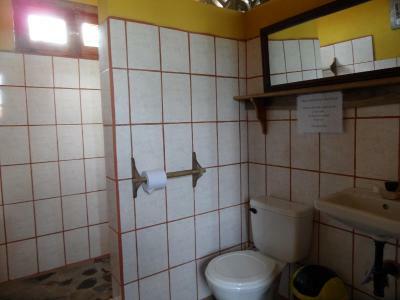 This bungalow features a private bathroom, a ceiling fan and an electric kettle. 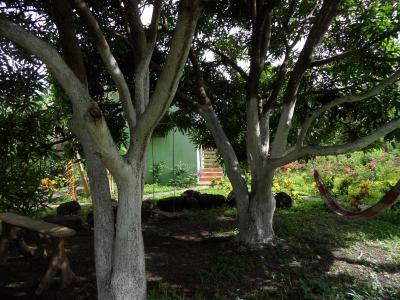 It also has a porch with rocking chairs and hammocks. This room features a private balcony with rocking chairs and hammocks, as well as a private bathroom, ceiling fan and electric kettle. 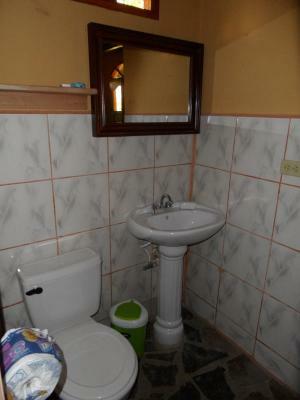 This bungalow features 2 twin beds, a private bathroom and a ceiling fan. There is also an electric kettle for preparing coffee or tea. 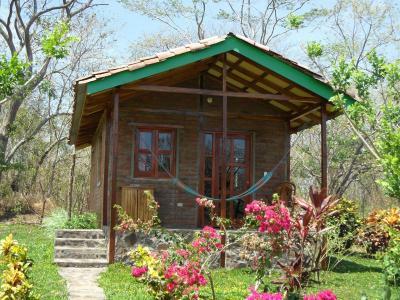 Fitted with a Queen-sized bed and 1 bunk bed, the family bungalow comes with stone floors, a ceiling fan, an electric kettle and a private bathroom with a hot shower. 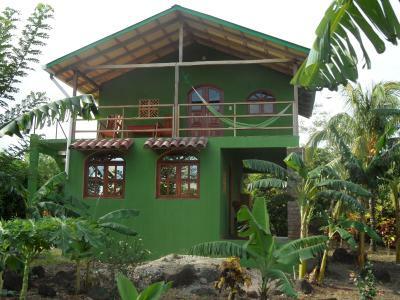 House Rules Finca Montania Sagrada takes special requests – add in the next step! 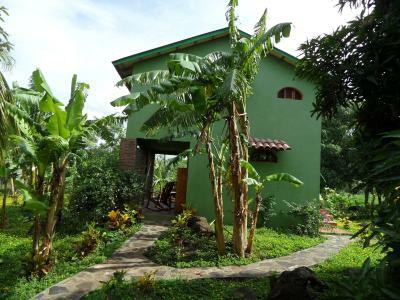 Finca Montania Sagrada accepts these cards and reserves the right to temporarily hold an amount prior to arrival. My sister and I travelled around Nicaragua for 2 weeks and this was by far our favorite location. I can even agree that it is one of my favorite locations I have ever travelled to. 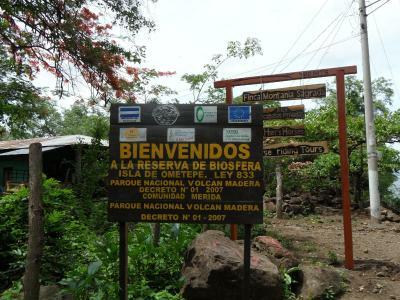 Ometepe is a beautiful island, and this Finca is on the east island, away from the hustle and bustle of the western side. It was a true getaway. The facility/cabanas offered impressive views. 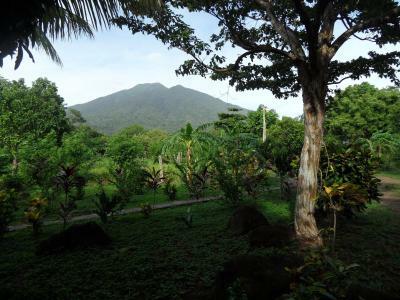 Ours in particular faced an active volcano (conception), the inactive volcano (maderas) and Lake Nicaragua. 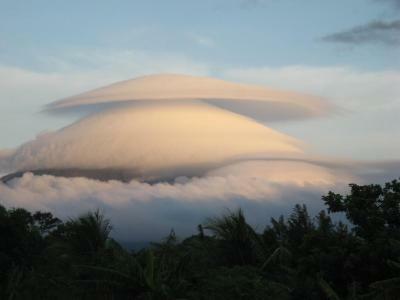 Between watching the sunset, sunrise, the volcanos, and interacting with the animals, for us, it was plenty. 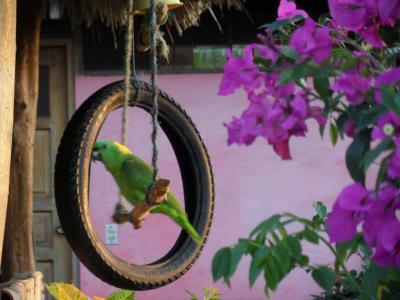 The finca has horses owned by Harri in which they are VERY well taken care of, many many dogs that are all sweet, 2 parrots, an occasional cat or 2. 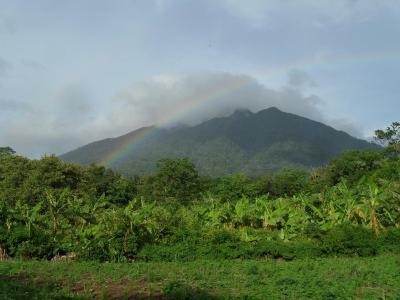 The staff were super friendly and helpful, they arranged excursions and taxis and were quite personable. Breakfast was wonderful and we ate dinner at the facility (~$12) which was well worth the price. The pesto pasta was my favorite. 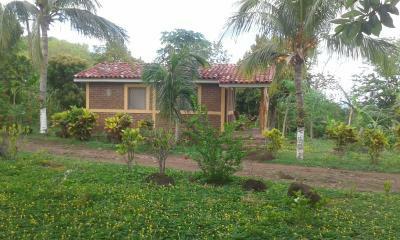 I big thank you to Finca Montania Sagrada for a wonderful experience. Could have done without the dogs or at least the big ones. Ants in the bathroom at night! 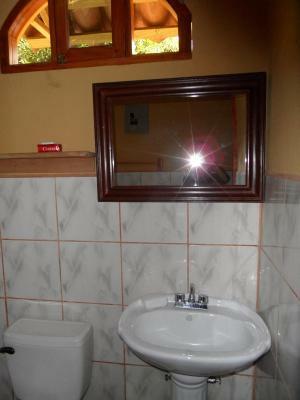 Nothing, this place is perfect! Fantastic hosts and great facilities. Dogs are fine, but the dining area is not an appropriate place for them, especially when we’re eating. After 2 days we found the area was too isolated and limited for activities and other options, given we didn’t have our own vehicle. Needed ice cubes for the guest to have a cool drinks after hiking all day. Staff not very warm or helpful regarding local area on arrival. This improved through the week.food expensive but tasty. 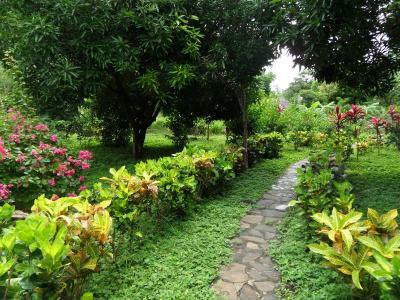 It is a wonderful, peaceful property in a beautiful garden full of humming birds. It is perfect for a relaxing stay. Breakfasts are delicious and the owners made us feel at home. The real highlight of our stay though was a horse ride across the meadows. Do not miss it! You do not have to be an experienced rider! 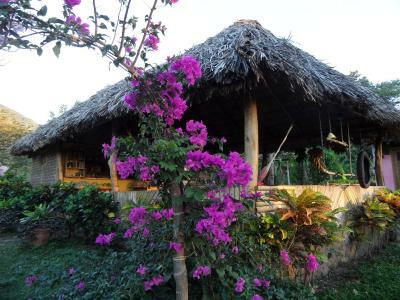 We would also like to recommend Buena Vista restaurant at the foot of the property, by the main road. The food there was delicious, plentiful and inexpensive, prepared by a local lady. Hot water shower and a kettle in the room. Neither are common in Nicaragua. amazing scenery to have a break. 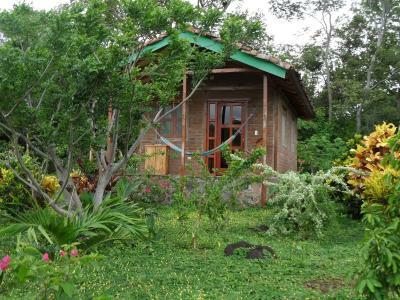 There is plenty to do on the island but the property is so nice and comfortable that it's a lovely place to just hang out in nature as well.